Still time for another TD and go for two. It's not the number, it's the soul crushing that matters. We're up 62-21. We have crushed their soul. 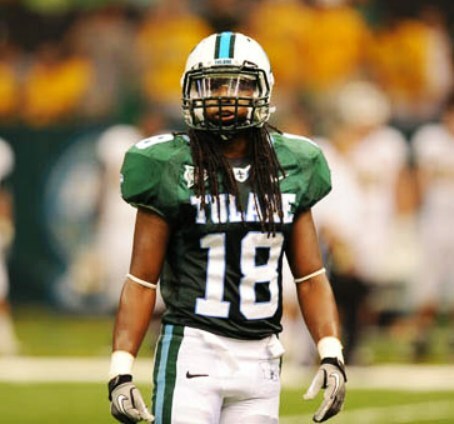 What's the best offensive performance y'all have seen from Tulane? We scored 72 (I believe) against LA Tech on Thanksgiving 1998. Is this the second best? Not necessarily just in terms of points but in terms of dominance, converting long plays, converting 3rd and 4th, etc. We better score another TD. Wow, I can't believe I'm saying this, but we better score another TD. We are going to see a lot of that from the teams left on the schedule. Oh yeah, got those flipped in my head.. I was thinking LT was 72-30. We might need to get a new DB coach after this one. Poorly coached. Not picking up switches. Not playing situational defense. Poor job. Second team has no idea what to do. Come to think of it, neither did the first team. Secondary is going to hear about this all week in practice. Coach Fritz has beaten teams like this before. He will know how to get them to understand that the focus and intensity needs to match on the first play and last play. The fact we get to hand out a whipping is good enough for today. That doesn't mean we can't get much, much better. Campus Connection just tweeted the radar. Tulsa might want to stop throwing and just run out the clock. Bout to get UGLY. Drink their sorrows away on Bourbon? Not happy. If anybody needs to have 70 hung on them, it's Tulsa. And, here comes the rain.